She had a sit-down interview with Broadway TV and here’s what they said about her before publishing the video. Truly it will be her year of second chance. Damn, she’s gone through a lot. Enjoy! If a modern biblical story of a second chance is to be written from Nollywood, the story of Toyin Abraham will take top spot. Toyin’s name has been dragged through all available mud a celeb’s name should not be dragged through yet she survived. To start with, she was seen as a razz actress, a brand with no credibility and to add double icing to the cake, Toyin had a nasty marriage break up and got entangled in a messy affair with controversial filmmaker (who was later caught for alleged theft and is currently in prison). Toyin’s inglorious journey of self destruction assumed a national proportion when she did not manage the aftermath of the project Mayowa, a charitable course, she championed to raise money for a cancer patient. Internet and general public weighed heavily against Toyin. According to her, she almost killed herself, she became depressed, she took to drugs, started losing brink of reality and for those who were close to Toyin as at that time, it was almost as if the end has come but life had a different plan for the Edo State born actress who grew up in Ibadan. She changed her team, changed some of her friends and most importantly; she changed some habits, one of which was taking drugs to escape the pain of the moment. 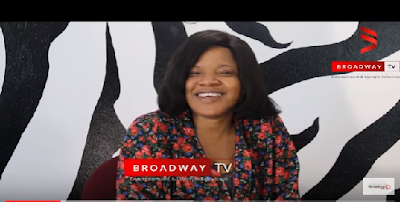 Not long afterwards, the effect of the new decision began to show, Toyin got a role in Okafor’s Law and for the first time, she became a box office actress. According to sources, Okafor’s Law has gone on to make 100million in the cinema. She has top 6 movies coming out in 2017. It was just as if God made 2017 for Toyin. Not only that, Toyin has worked with two multinational companies in the space of two weeks as brand influencer and to add icing to the cake, her latest movie Alakada Reloaded has become the biggest movie of 2017 within days of release. Toyin Abraham says she is not taking anything for granted. In this exclusive and no hold back interview, Toyin speaks on taking drugs, codeine, what is next and the most cherished second chance.